Washington, Oregon and northern California, rare in alluvial forests of western Vancouver Island and Queen Charlotte Islands (4). Temperate climates at low to medium elevations (4). In deep shade of mature alluvial forests. Productive forest sites with high precipitation and fertile soil (2, 4). Requiring moist conditions, it forms understory groundcover in late successional conifer forests (1). Sitka spruce (Picea sitchensis), Douglas-fir (Pseudotsuga menziesii), sword fern (Polystichum munitum), western trillium (Trillium ovatum), salal (Gaultheria shallon), and deer fern (Blechnum spicant). In northern California, coastal redwood (Sequoia sempervirens) associated overstory conifer species (1). Divisions in mid September (5). Remove all but one or two leaves from plant division. Each division must contain a root or rhizome mass. (5). Seeds require no seed pretreatment. 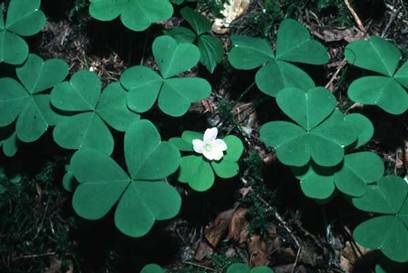 Other members of the Oxalis genus are weedy pests in greenhouse environments (6). Seeds planted in cold frame in late winter to early spring. Transplant seedlings into individual pots when large enough to handle and plant in late spring or early summer (3). Short shelf-life, best if sown as soon as ripe (3). In restoration practices, propagation of divisions from vicinity of site is recommended. Seeding is also an option, but no success rates were found. In field, moist humus. In nursery environment, standard potting mix of peat moss, fir bark, perlite, and sand (5). Transplanting divisions is cheap and survival averages 90% (5). Water transplanted divisions in well. No additional watering requirements specified (5). Can be an aggressive groundcover in appropriate growth conditions (3). 4. Pojar, J. and A. MacKinnon. Plants of the Pacific Northwest Coast-Washington, Oregon, British Columbia and Alaska. B.C. Ministry of Forest and Lone Pine Publishing. 1994. 6. Young, J. and Cheryl G. Young. Collecting, Processing, and Germinating Seeds of Wildland Plants. Timber Press, Portland, Or: 1986.